It is more important than ever to call your legislator and tell them to pass House Bill 100. It only takes a minute of your time to use the TOLL FREE number and let your legislator know how much this bill means to you and the patients you serve. The more calls we make, the bigger impact we have on getting the legislation passed. Take time today to make this call a priority. Simply dial 844-250-5540 and punch in your zip code to be automatically connected to your state representative. "I'm calling because I want Rep. X to ask House Leadership to bring HB100 to the floor for a vote. It's time for Pennsylvania to join the 22 other states that have already improved access to quality healthcare by empowering nurse practitioners to serve patients to their fullest potential. 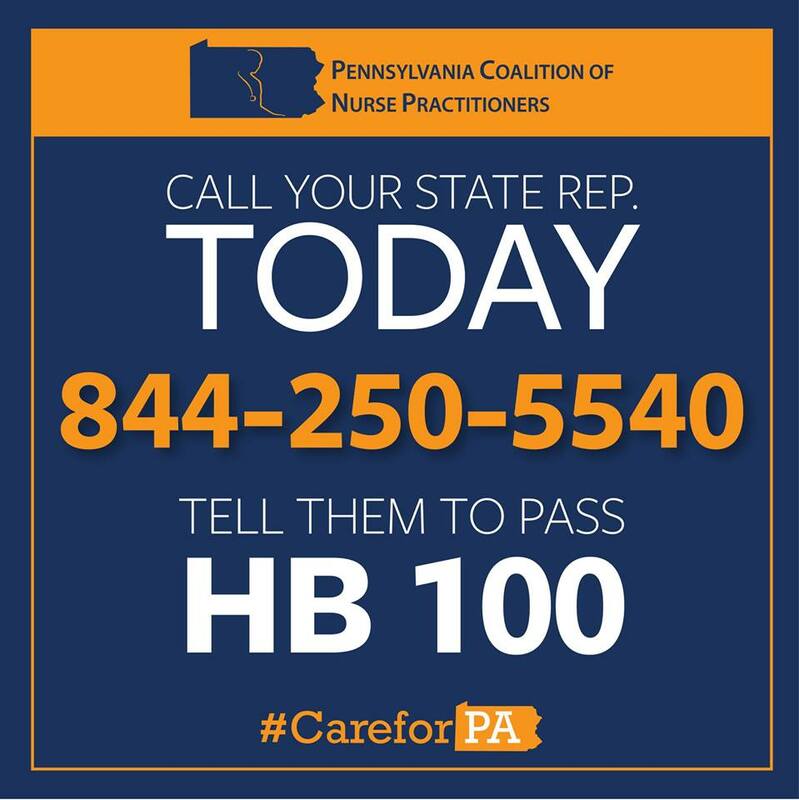 A broad range of groups support this proposal to expand access to care in Pennsylvania."